Our welcoming staff will help you to organize your tour and can provide all information you need about Klaipdas sightseeing, day & night life. It was awesome to stay here. The woman in the reception told us everything about the town and she give us the map, she was really nice. The room were clean so as the bathroom. Nice people were living there. We enjoy our stay. 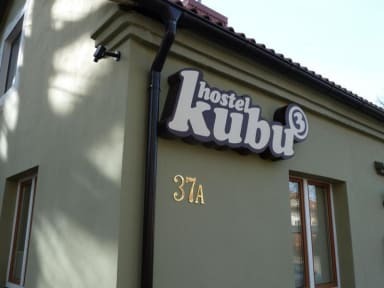 Klaipeda is a small town on the coast of Lithuania, so there are only two hostels in the area. I went during the colder months so there weren’t a lot of other travelers staying at the same time as me. The staff were friendly and the hostel was clean. 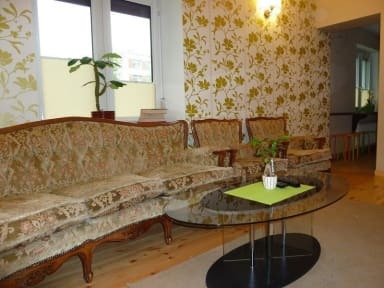 It is close to the bus station and central enough that you can walk to the city center within 10 minutes. Very pleased with my experience! Good cheap hostel, has car parking which is useful. About a 10 minute walk into town. But difficult to find so Google maps and some instructions wouldn't go a miss. Very small hostel with not many beds. Clean rooms and good showers. I arrived a bit early (1230 pm) and the place was locked and no one was there to let me in. They did not respond to calls or emails, so I needed to wait outside for an hour and a half before someone came. Otherwise, it was a nice place. Clean and comfortable hostel with friendly staff. The common area was quite cosy and it was easy to meet people. I do wish they had someone at the reception overnight though to deal with any issues that might arise, since I was frustrated to end up as the only female traveler in a "mixed" dorm with only male roommates (some middle-aged/in their 40s-50s, one of which came in late very drunk and behaved obnoxiously), but that's hostel life sometimes. There were a few upsides and a few downsides. There is not a staff person there all the time which meant we had to walk to a coffee shop for internet then call them on Skype to get in. We arrived mid afternoon. We booked a twin bed private and it became clear after arriving that there were no twin bed private rooms. we were just given a dorm room, though the dorm room was just the two of us. The location was good and when the staff was there they were nice. The place was otherwise as expected. This hostel was fine. I might have liked it better if the room I was sharing didn't have such messy, annoying slobs (one let his alarm clock go off for probably close to an hour)! Of course, that's not the hostel's fault but it does affect my perceptions. Ok hostel, clearly not the best. Close to the train station, but quite the walk to the old town center, restaurants, marina (where you will always end up since Klaipeda is REALLY small). Hidden behind a run down building from soviet era, so don't be scared when you see it, the hostel is actually behind it! Which allows for quiet nights though. Staff isn't really "there", or aware of who is supposed to show up or not at the hostel. There was a layer of dust on the floor of our room.